I offer master-classes for IBR course MD978 (RNA dynamics) and IBR course BS930 (Genome editing). Ribonucleic acids (RNA) are essential components of all cells. We work on RNAs whose location is important for the formation of specific structures or organs (e.g., head or spine). Misplacing the RNAs or blocking their functions results in animals lacking these essential parts. Similar RNAs exist in humans, and dysfunctions of such RNAs could result in birth defects and other diseases. We want to understand how the RNAs get to their correct location and how they function. We use the zebrafish as a model organism to understand these processes because we can obtain hundreds of optically clear embryos that are fertilized and develop outside the body of the mother, which allows us to watch these processes in a live animal as they take place, both under normal conditions and upon disruption by various means. Our work has implications for human birth defects. 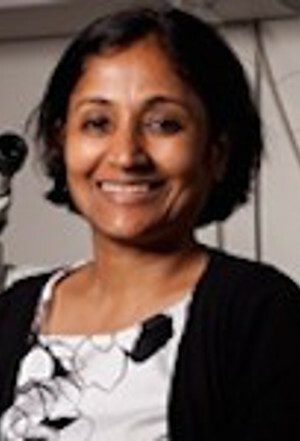 Research in the Sampath Laboratory focuses on fundamental mechanisms that control development and differentiation of embryonic progenitors and adult stem cells, and the molecular mechanisms underlying these processes using the animal model of human development and disease, zebrafish, and adult human stem cells as experimental systems. We use molecular genetic, genomic, live imaging, proteomic, and embryological approaches to determine the roles of non-coding and coding RNAs, and regulation of nodal signaling. 4) Microtubule-based RNA transport and localization. Image shows cells in a 30% epiboly stage zebrafish embryo expressing GFP-tagged Nodal ligand (green) and mCherry tagged Acvr2 receptor (red); scale bar 50 mm. Gore, AV., S Maegawa, A Cheong, PC Gilligan, E Weinberg, and K Sampath. The zebrafish dorsal axis is apparent by the four-cell stage. Nature 438: 1030-1035 (2005). Gilligan, PC, P Kumari, S Lim, A Cheong, A Chang and K Sampath. Conservation defines functional motifs in the squint/nodal-related 1 RNA Dorsal Localization Element. Nucleic Acids Research 39: 3340-3349 (2011). Lim S, P Kumari, PC Gilligan, H Quach, S Mathavan and K Sampath. Dorsal activity of maternal squint is mediated by a non-coding function of the RNA. Development 139: 2903-2915, doi:10.1242/dev.077081 (2012). Tran, LD, H Hino, H Quach, S Lim, A Shindo, Y Mimori-Kiyosue, M Mione, N Ueno, C Winkler, M Hibi, and K Sampath. Dynamic Microtubules at the Vegetal Cortex Predict the Embryonic Axis in Zebrafish. Development 139: 3644-3652, doi:10.1242/dev.082362 (2012). Kumari, P, PC Gilligan, S Lim, S Winkler, R Philp, and K Sampath. An Essential Role for Maternal Control of Nodal Signaling. eLife 2:00683; DOI: 10.7554/eLife.00683, (2013).